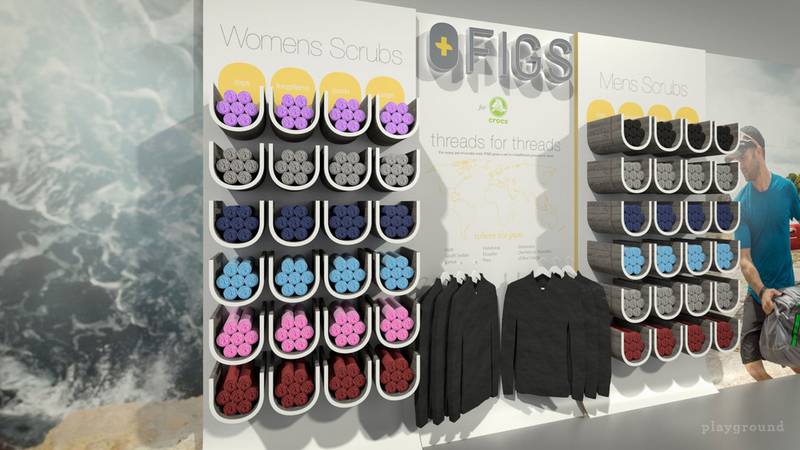 Figs is the first line of scrubs that are specifically tailored to meet the demands of active healthcare professionals and is the first line of scrubs with a fashion-forward bent based on design, comfort and a pragmatic activeware aesthetic. We partnered with the company to craft an engaging in-store experience within a Crocs shoes retail location. All elements of the design were carefully co-branded to reflect both brands and to create a one-stop-shop for healthcare professionals. 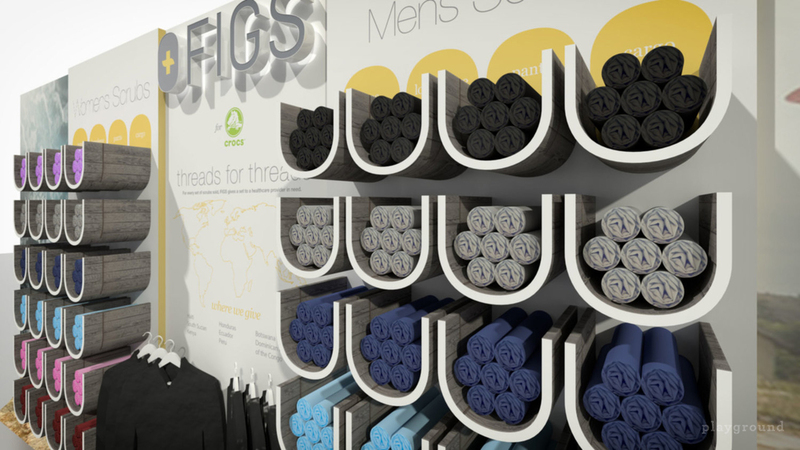 With Figs, we helped a progressive company create an eye-catching, co-branded retail space that fit the needs of both brands, effectively deepening their partnership.